Ethernet First Mile and How Can It Help You? Let Sequential inform you. Growing your business is obviously your goal it can be with Ethernet First Mile. But how to achieve this may not be so obvious — especially in this new area of technology. One of the first things you need to know is that Ethernet First Mile may be just the thing you need to help your business to go the extra mile. Ethernet First Mile, also called Ethernet Internet or EFM, is an inexpensive leased-line technology that offers major cost savings compared with traditional fiber leased lines. Not sure if this technology is right for your business? We’ve compiled a guide on Ethernet First Mile and how it can help your company this year. What Exactly is Ethernet First Mile? This technology offers symmetrical bandwidth with speeds as high as 20 Mbps, and there is no contention. By “symmetrical,” we’re referring to the fact that downstream and upstream speeds are equivalent. And “no contention” means you don’t share the bandwidth, so it won’t slow down on you. The symmetrical bandwidth is especially a big deal because upload speeds tend to be slower than download speeds are. Say your company needs to upload detailed specifications and reports, a computer-aided-design (CAD) file for a machine tool, a high-resolution illustration or even printing copy. This can be frustrating without a symmetrical connection, as you’ll have to endure long waits as deadlines loom. But you don’t have this problem with EFM. EFM is also known to provide reliable Voice over Internet Protocol (VoIP) and virtual private network (VPN) services, replacing your traditional symmetric digital subscriber line (SDSL) technology and leased lines. If you love the idea of cutting your phone bills with VoIP, as many business owners do, you’ll need the symmetric, dedicated and reliable connection that EFM brings to the table. Otherwise, VoIP won’t work for you. In light of all of this, EFM is a must-have for you if your small business uses cloud-based services or applications. Unless a fiber connection goes directly to your business’s premises, a conventional internet connection utilizes copper phone wires in the circuit’s first part. Copper wires are also used to connect to the street cabinet or to the exchange depending on your service type. Fiber backbones carry data from there. However, even if your businesses has fiber to the cabinet, or FTTC, the most common setup in the United Kingdom, your connection is still asynchronous. In other words, your uploads are slower than your downloads are. On top of that, your circuit’s performance will ultimately depend on how far you are from the cabinet and thus the amount of copper cable required to make your connection. The problem with copper is that over long distances, it is susceptible to losses and interference. Therefore, it is the connection’s slowest part. In addition, you may also be affected by how many businesses and individuals who are simultaneously online with you through the exact same exchange. Ethernet First Mile eradicates these problems. How? Because even though this technology still uses copper cables, copper is used in a clever way. Either four or two lines are bundled to provide internet service and permit data to be transmitted symmetrically. Smart. A major benefit of using EFM compared with asymmetric digital subscriber line (ADSL) is that it uses the Ethernet protocol that your company’s internal network connection uses. So, setting up your connections is much more straightforward. In addition, you don’t have to worry about specialist networking technology that will complicate your efforts to establish and maintain a connection. Another advantage? You get to enjoy consistent speed anytime and every time. Day or night, your speed will be the same. Plus, your speeds will stay strong no matter how many other companies or individuals in your area are online. You’ll also love the fact that Ethernet First Mile circuits can deliver connections even while experiencing some failure. Of course, business owners can always choose secondary circuits to make sure that their connections remain operational in nearly all cases. Sounds pretty fair, right? Yeah, we don’t think so, either. After all, you’re paying for the service. That’s what’s so great about EFM: There are no caps since you’ve got a dedicated line. EFM technology can help your company in a number of ways. First is the speedy internet connectivity. The faster your internet is, the more productive you can be. And the easier it will be for you and your workers to transfer and upload large files. In addition, perhaps you have many staff members who work from home, or you’re moving in this direction. EFM makes this possible because it can boost your bandwidth enough to allow many employees to access their company computers from the comfort of their own homes. Finally, your faster connection will make video conferencing easier. This benefits both your staff and your clients. Another perk of using EFM is that your connection’s latency will be lower than that of an ADSL connection. Latency refers to the delay that takes place between the sending and receiving of data. Latency matters when you use your internet connection to send instant messages, for example. The shorter your delay is, the better. And thanks to EFM’s shorter delays, your company can more effectively communicate in real time. 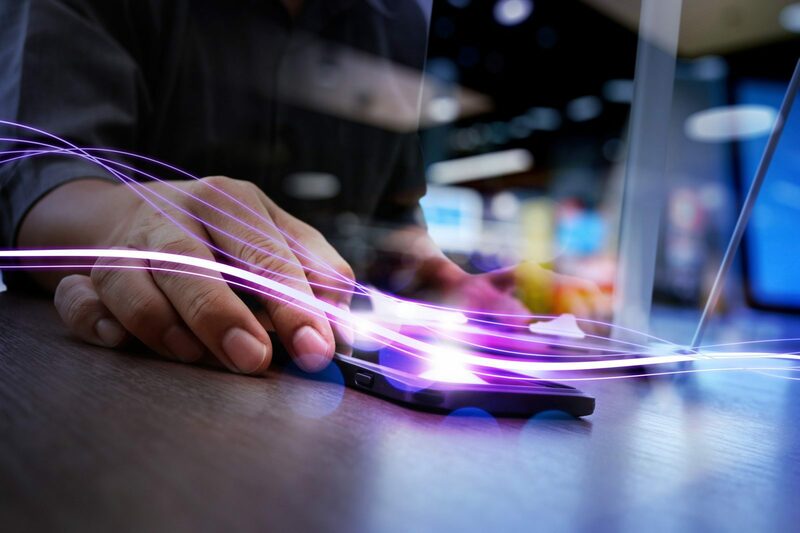 Ethernet First Mile is bringing critical connectivity to small businesses, which is why it is exploding in popularity. As a leading managed IT service provider in Europe, we take pride in offering EFM along with other top-quality services, such as cloud hosting. Get in touch with us to find out more about how we can help your business connection to operate faster and better than ever before.